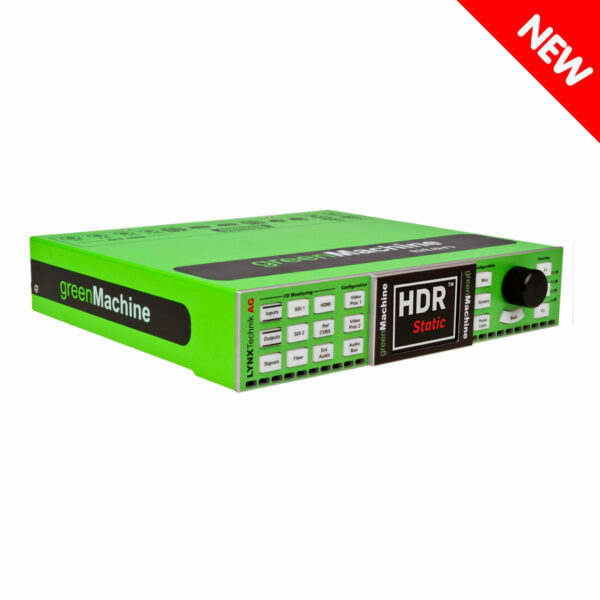 The greenMachine HDR STATIC is a fully featured broadcast quality HDR to SDR, SDR to HDR or cross standard HDR to HDR converter, with a frame sync and up/down/cross converters supporting formats up to 4K UHD (3840×2169). The static conversion process applies color and contrast conversion parameters equally throughout the entire program. 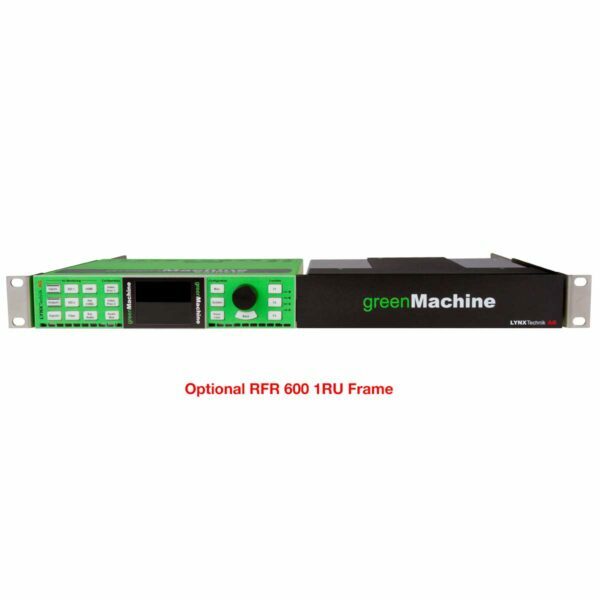 The greenMachine HDR-STATIC is a powerful tool for handling dynamic ranges and color gamut’s, presenting viewers with more vibrant dynamic images than previously seen, even without an up-to-date HDR display. The conversion is simultaneously combined it with a static (real time) tone mapping algorithm. 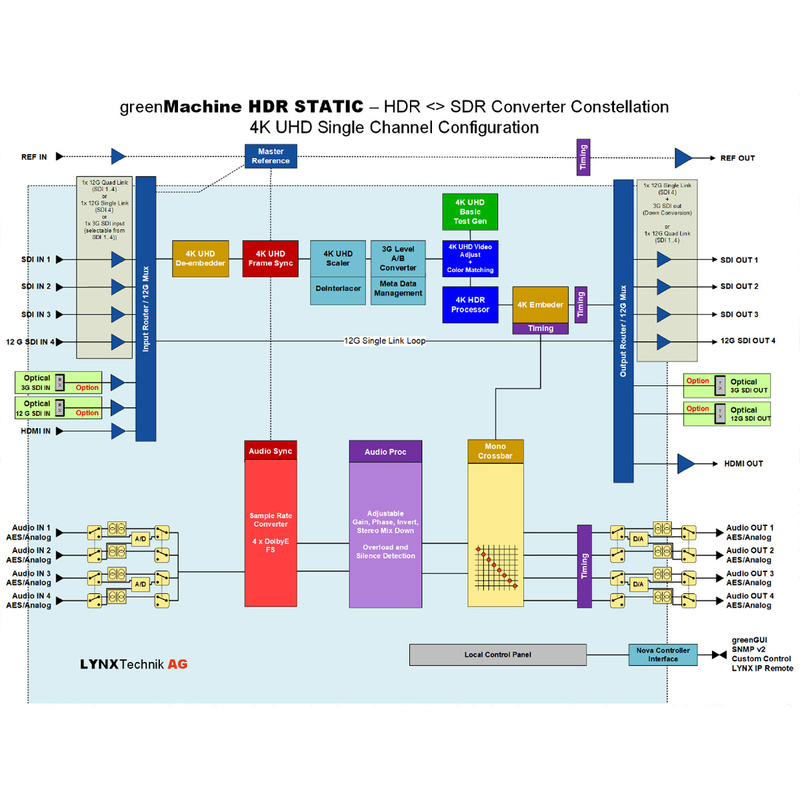 This allows the user to perform up, down and cross-conversions between common input and output curves including Gamma, PQ, HLG and Slog3 and conversions between full and narrow ranges through appropriate static tone mapping. Conversion between color spaces including Rec. 601, Rec. 709 and Rec. 2020 are also possible. 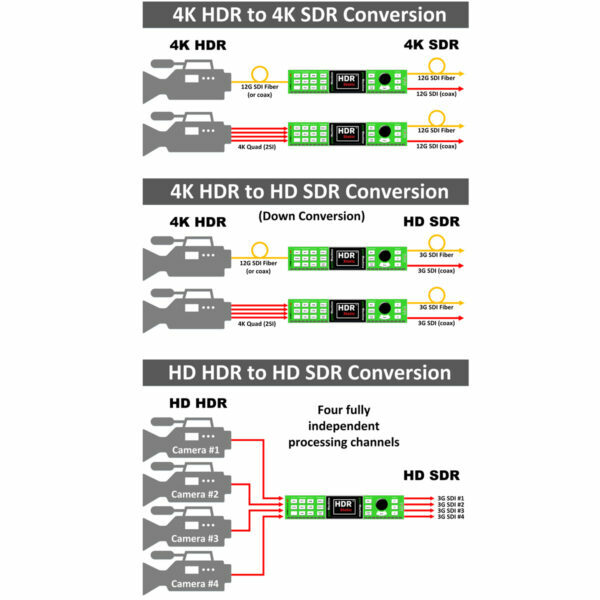 HDR content can also be displayed, by contrast compression, on non HDR-capable TV monitors thus producing a high level of HDR-enhanced image quality for all possible display types. 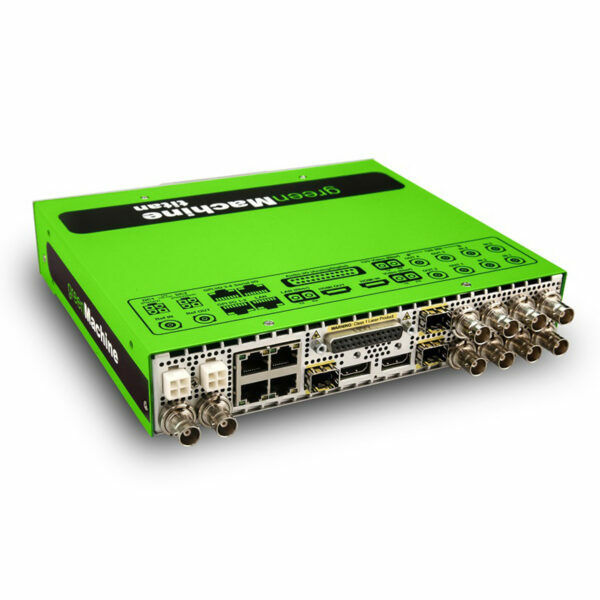 The extensive audio processing capability de-embeds all audio as well as providing support for four external audio inputs or outputs which individually can be configured to be analog (balanced) or digital (AES) interfaces. 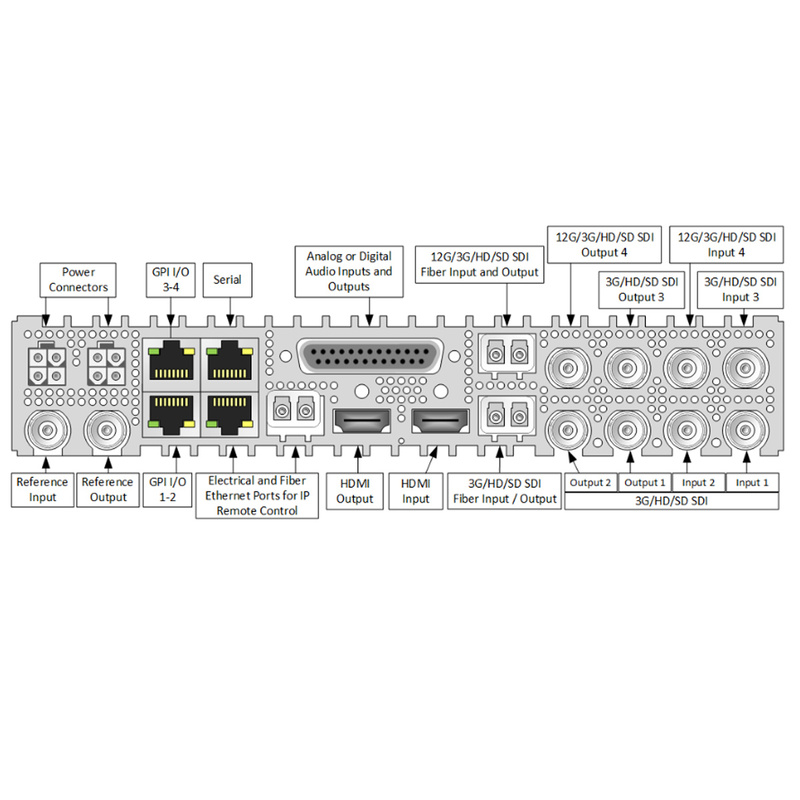 Multiple internal crossbars allow for extensive audio shuffling including the MADI streams. It also provides full audio processing as well as multiple adjustable user delays for audio and video. 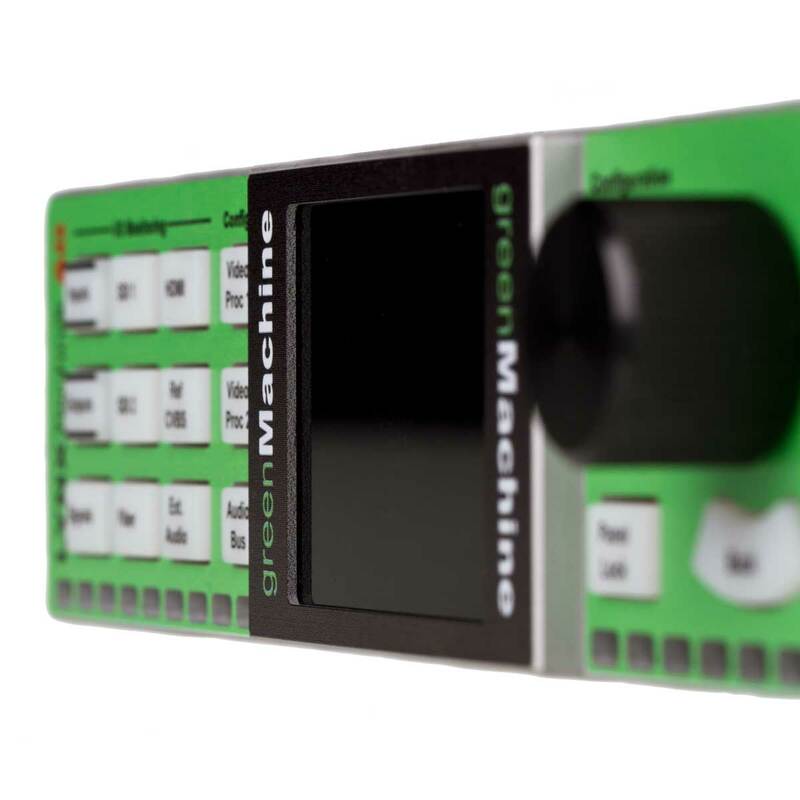 Each greenMachine is preloaded with all the available constellations (configurations). This package has the GMC-HDR-STATIC constellation installed and licensed. You can freely load any of the available constellations (configurations) for testing and evaluation at any time, the video and audio will be watermarked until licensed. 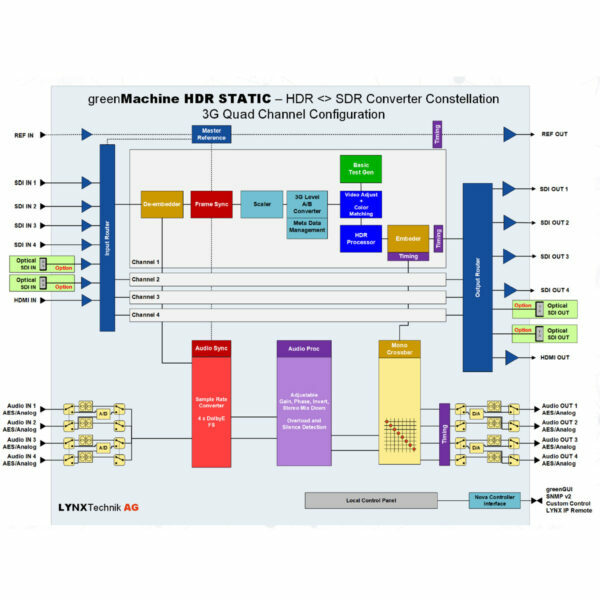 You can have multiple constellations licensed for the same machine and switching between configurations takes only a few seconds. Constellations can also be shared if you have more than one greenMachine on the network.